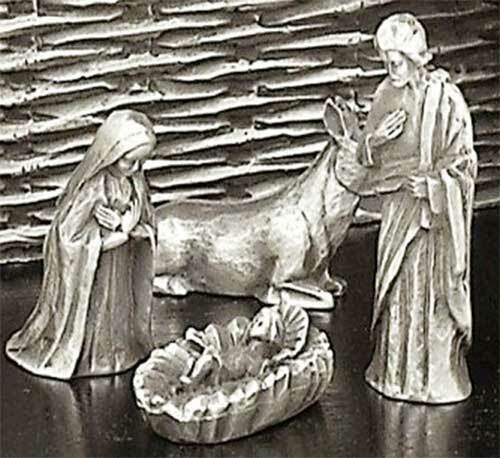 This Irish Nativity set includes the Holy Family and a shepherd along with the Three Wise Men and barnyard animals. 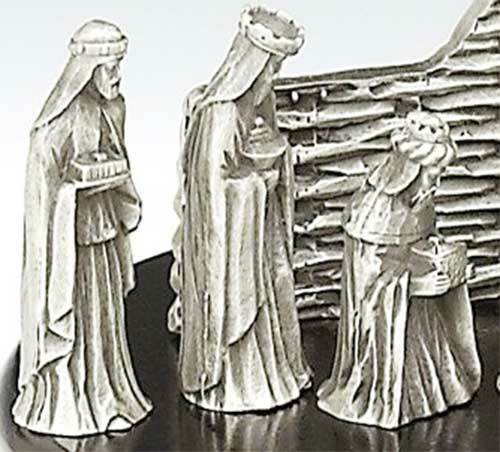 The Irish Nativity set includes 10 pewter pieces that includes the Holy Family along with the stable. 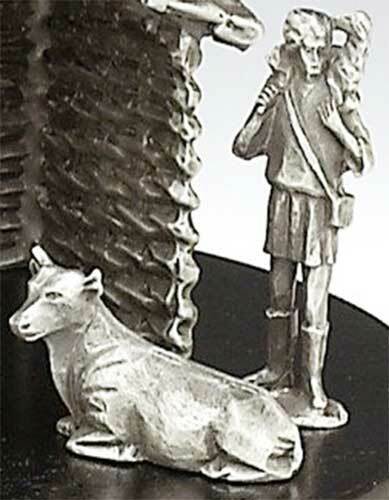 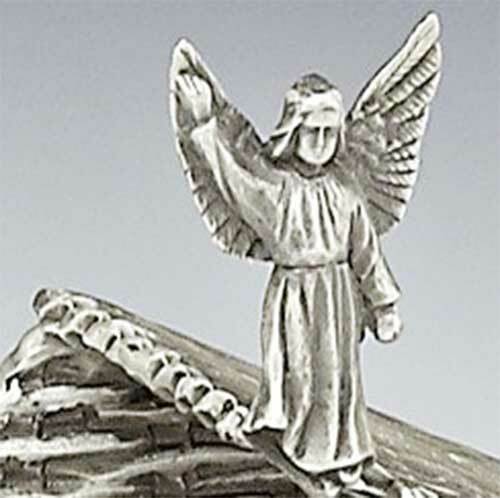 Overall the pewter nativity measures 6” tall with a 9" oval wooden base. 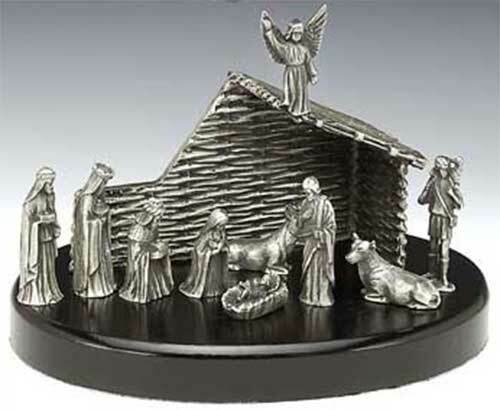 The Christmas Nativity set is made in Ireland by Mullingar Pewter and it is gift boxed, complements of The Irish Gift House.